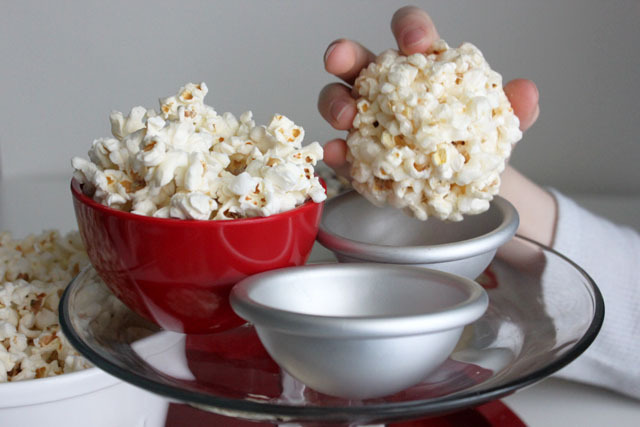 Tonight is Oscar night, and this year I made Popcorn Balls to celebrate the Best Picture Nominees. 84th Annual Academy Awards Sweets: Toasted Coconut Popcorn Balls for “The Descendants,” Black and White Dark Chocolate Drizzled Popcorn Balls for “The Artist” and “Extremely Loud & Incredibly Close,” Marty and Woody Popcorn Balls for “Hugo” and “Midnight in Paris,” Salted Cocoa Popcorn Balls for “The Help,” Baseball Popcorn Balls for “Moneyball,” Apple Chip Popcorn Balls for “The Tree of Life,” and Pretzel Barbed Wire Popcorn Balls for “Warhorse.” I realize that a few are a stretch, but popcorn balls were a much easier feat than movie-themed cupcakes (which is what I did back when there were just five nominees in the category). 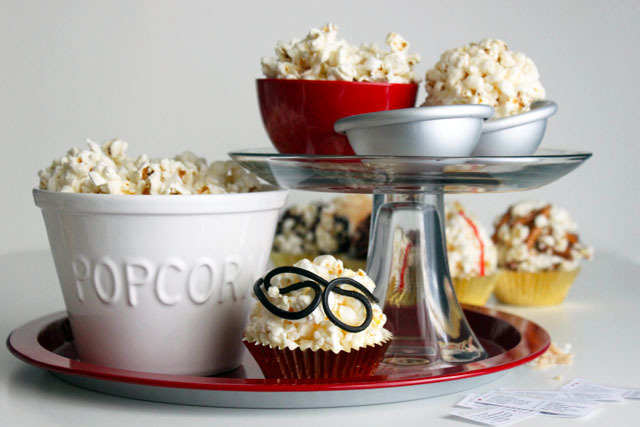 Besides, what goes better with the movies than popcorn? Next year, sugar paper ballots! thank you! tasty balls of sweet popcorn. I think the dark chocolate ones were my fav.